Posted on November 9, 2011 by M.E. 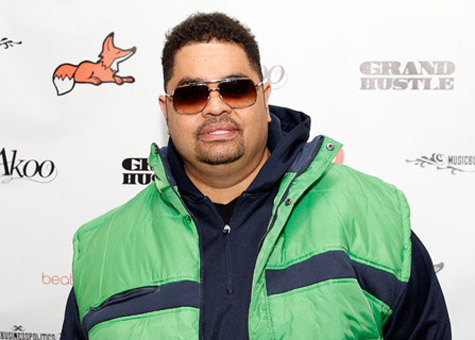 Hip-hop pioneer Heavy D died earlier today at the age of 44. TMZ reports that the ’90s rapper, born Dwight Arrington Myers, was rushed to an L.A. hospital around noon on Tuesday, where he was later pronounced dead. When respondents arrived at his Beverly Hills home earlier in the day, he was reportedly conscious and speaking. There were no obvious signs of foul pay, but police are investigating the death. Heavy D most recently performed at the BET Hip-Hop Awards and Michael Jackson tribute concert in October. Swizz Beatz: Wow life is 2 short i am twisted about my brother The Great Heavy D 😦 R.I.P this is wack!!! Posted on November 3, 2011 by M.E. With these Lace-up Boots ($1,100), YSL joins the list of brands who’ve made shoes with thick soles which include Prada, Burberry, Giuliano Fujiwara, and Junya Watanabe x Tricker’s. The flexible black leather upper molds to the shape of your foot, and the black midsole gives the uneven beige rubber sole a nice touch. Beyonce was seen making her way into an office building in New York City wearing a pair Alian Quilici Payson skate lace-up booties ($1,180). These leather booties feature a carved 5 inch heel with a 1 inch platform running from heel to toe and a side zipper with a contrasting lace up front. Janet Jackson’s 2004 Wardrobe Malfunction Case Finally Dismissed!!! A federal appeals court on Wednesday has reaffirmed its previous ruling declaring that the Federal Communications Commission improperly fined CBS for televising Janet Jackson’s infamous wardrobe malfunction during the 2004 Super Bowl Halftime Show. Per the New York Times, the 3rd U.S. Court of Appeals in Philadelphia made today’s declaration after the Supreme Court sent the case back to the lower court in 2009, and its 2-to-1 decision wasn’t much changed since issuing its first opinion back in July 2008. The panel still believes the FCC unfairly punished the network when it levied a $550,000 fine, because the regulatory agency failed to inform CBS about a change in its indecency enforcement rules. Specifically, the judges ruled that while the FCC can crack down on indecent images such as Jackson’s exposed breast—even if it was flashed onscreen for less than a second—the commission still acted arbitrarily by altering its policy after the fact and not informing the network. The FCC released a statement expressing disappointment with the ruling. No word whether regulators will appeal. The FCC slapped CBS with the $550,000 penalty in September 2004 and the network’s first appeal was denied in February 2005. The commission subsequently rejected a second appeal in May 2006, arguing that CBS planned the chesty stunt deliberately. However, the 3rd Court of Appeals eventually threw out the fine. Despite only being released yesterday, Wale’s sophomore album, Ambition, is projected to move 170-190k units in its first week (via Hits Daily Double). Wale’s debut album, Attention Deficit, sold a disappointing 28,000 copies in its first week two years ago. So if these projections hold true, this will be a huge step up for Wale. 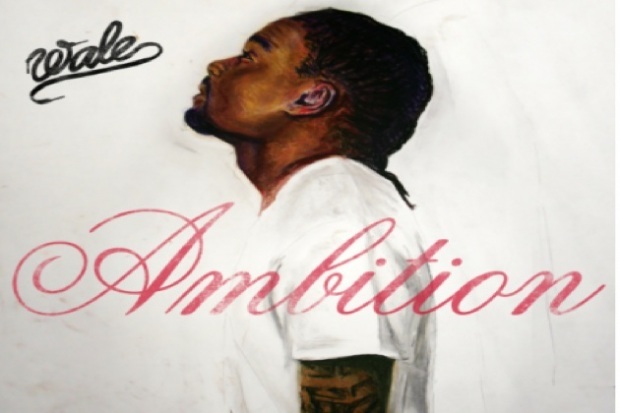 Ambition is Wale’s first album since being signed to Rick Ross’s Maybach Music Group. Posted on November 2, 2011 by M.E. Following two seizures aboard a jet bound for Memphis, Tenn., on Oct. 14, he said he was asked by doctors about his sleeping habits. 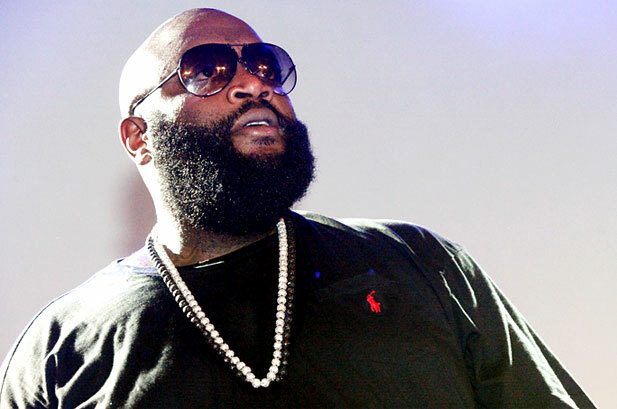 He revealed he hadn’t slept eight hours a night in five years, due to his musical commitments and label duties at Maybach Music. “I would get two hours of sleep and keep moving… that has to stop,” he said. Ross added that a “battery of tests” for cancer, diabetes and HIV had found no results. “I came back totally healthy,” he said. Wiz Khalifa has added a female component to his Taylor Gang label imprint with DC rap artist Lola Monroe. Monroe has been on the scene as a rapper for years after abandoning her career as a model named Angel Lola Luv. She was renown for having a huge backside. Monroe expects to release a pair of new mixtapes. Posted on November 1, 2011 by M.E. 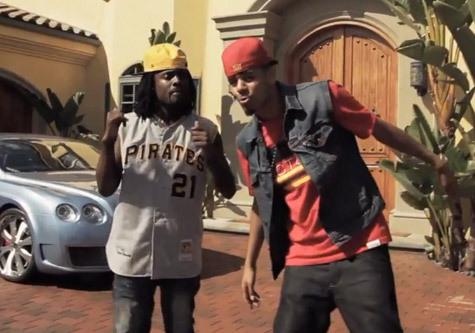 Wale continues to shine as he collabs with J. Cole on his latest video “Bad Girls Club,” which the song made it’s debut on the internet a few months back. His second album “Ambition,” is in stores today and features Neyo, Jeremih, Rick Ross, Miguel, and a host of other urban stars. He is looking to take the industry by storm with its beefed up production, big-time budget, and ever present promotion. Here’s hoping that DC will get the recognition and support that it deserves. Who will be buying?? ?